Welcome to Precision Design and Fabricating, Inc. Precision Design & Fabricating, Inc. supplies the needs of engineers, architects, and other trades with structural steel design, fabrication and installation for custom homes. We also provide welding services for purposes other than structural steel. All of our welders are AWS certified and have currently never failed non destructive testing (UT) for full penetration welds. We have fabricated and installed projects requiring as much as 240,000 lbs. of steel for a 21,000 sq. ft. residence. We also do smaller projects. 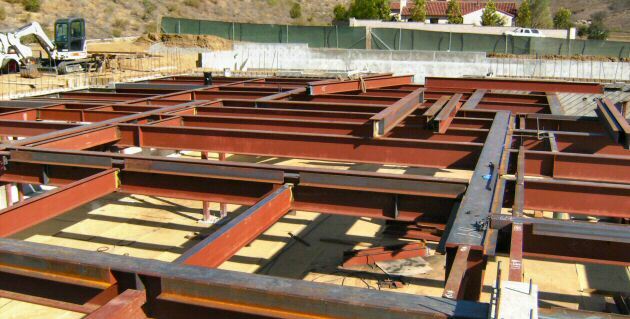 We can provide structural steel for both new and remodel construction needs in the San Diego and Orange County areas of California. Precision Design & Fabricating, Inc. boasts many capabilities and services to help our clients with their projects, including becoming an L.A. Certified Job Shop (#2052) in 2007. Being an L.A. City Certified job shop makes it that much easier for our clients to submit and receive a final inspection for their project as our methods are on file and meet or exceed the requirements of the most respected inspection institution in the country. Knapp residence. A 6,500 sq. ft. residence that had over 150,000 lbs. of steel and an awesome view of the ocean. Pievac residence. An elegant residence located in prestigious Pelican Hills which featured 90,000 lbs. of steel. Cheng Residence. 220,000 lbs. of steel installed on time, and on budget. After completing the installation we covered the entire framework in 13,000 square feet of Formlok decking to receive an 8" thick slab. Precision Design & Fabricating, Inc. began as Prototype Design & Fabricating under the leadership of Brent Myers 20 years ago. Prior to this, Mr. Myers worked as a draftsman for a local drilling and shoring company. Branching off on his own, Mr. Myers specialized in small parts fabrication for private clients, and also worked as a mobile welder for drilling and shoring companies. 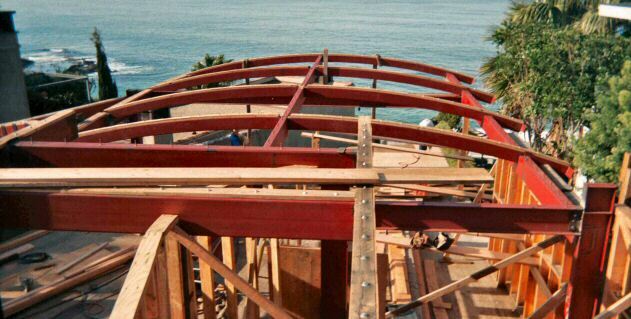 After years of mobile welding experience for shoring and drilling companies, Mr. Myers began offering structural steel for the custom home market of Laguna Beach. Not long after, Prototype Design & Fabricating incorporated and changed its name to Precision Design & Fabricating, Inc.
Mr. Myers has utilized his years of mobile welding and drafting experience to advance Precision Design & Fabricating, Inc. to the forefront of custom home fabrication and installation in the San Diego and Orange County areas of California. Please contact us for a free quote on your structural steel requirements. We are sure we can help you. Copyright © 2010 Precision Design & Fabricating Inc.